Dr. Abraham is a pediatrician with 20+ years of experience who has worked with teens around the world, from the US to Asia to Europe. Her career encompasses clinical care, teaching, public health, research, media, and leadership. Anisha is currently on faculty in the Department of Pediatrics at the University of Amsterdam and at the School of Public Health at Chinese University of Hong Kong. She previously served as Chief of Adolescent Medicine at Georgetown University Hospital in Washington, DC and a LTC (R) in the US Army. Anisha has treated and counseled young people with drug use, obesity, depression, and sexually transmitted infections. As a teen expert and educator, she has published research on obesity, taught pediatrics and global health, written a regular column on teen health, and has been interviewed on CNN, NPR, and the South China Morning Post. As a health consultant, Anisha works with teens, parents, and educators in schools and organizations on decreasing adolescent health risks, developing self esteem and preparing teens for the future. She has several publications on the subject of Youth and mental health including depressions, suicide and stress, teen body image and eating disorders, drug use, healthy eating, etc. Dr. Abraham received her MD degree from Boston University School of Medicine and Masters in Public Health degree from George Washington University School of Medicine and Health Sciences. Dr. Lord is a senior partner and president of Central Health Medical in Hong Kong. Her area of interest is Mental Health and she was the key organizer of the Hong Kong Mental Health Conference 2017. A specialist in Obstetrics and Gynaecology, she along with fellow expatriate doctors, set up the Patient Care Foundation to help vulnerable people who may not be sufficiently supported by the local medical system, including mothers-to-be, refugees and those suffering from mental health illnesses. Susan Ramsay, a journalist from South Africa, has been the Editor of South China Morning Post's Young Post for more than 10 years. South China Morning Post (SCMP) is Hong Kong’s leading English newspaper, Young Post is aimed at a younger student audience between 12 and 20 years old. Susan has worked in Youth Publishing for 12 years, and takes pride in helping young people understand how news happens and how to tell the difference between real news and fake news. Dr. Wong is currently an Honorary Fellow of the Centre for Suicide Research and Prevention HKU, HK Police College, Council Member of the Hong Kong Psychological Society; and was National Representative of the International Association for Suicide Prevention (2010-2015). He is Programme Director of the B.Soc.Sci (Counselling) and Deputy Director of M.Soc.Sci. (Counselling). Dr. Wong has been involved in suicide prevention research and mental health promotion and practice since 2003. His recent research projects include social withdrawal behaviour (a.k.a. hikikomori), using animals as part of psychological and educational interventions, and youth positive development interventions. He has published more than 70 academic articles on a number of suicide-related, and mental-health-related issues, developer of award-winning website (www.depression.edu.hk) and book author of “The Belated Dialogues between the Suicides and Their Families”. Dr. Marty Schmidt has taught for more than twenty-five years in the Humanities Department of Hong Kong International School (HKIS), creating a variety of courses that facilitate student transformation, such as “Humanities I in Action, “Service, Society, and the Sacred,” and “Spiritual Explorations.” He has been a keynote speaker and frequent presenter at educational conferences, has presented a TEDx talk, and maintains an active blog (https://martinschmidtinasia.wordpress.com/) on educational topics. In 2009 he received an Ed.D. from the University of Western Australia for his dissertation, "Teaching for Social Conscience in Hong Kong Schools." 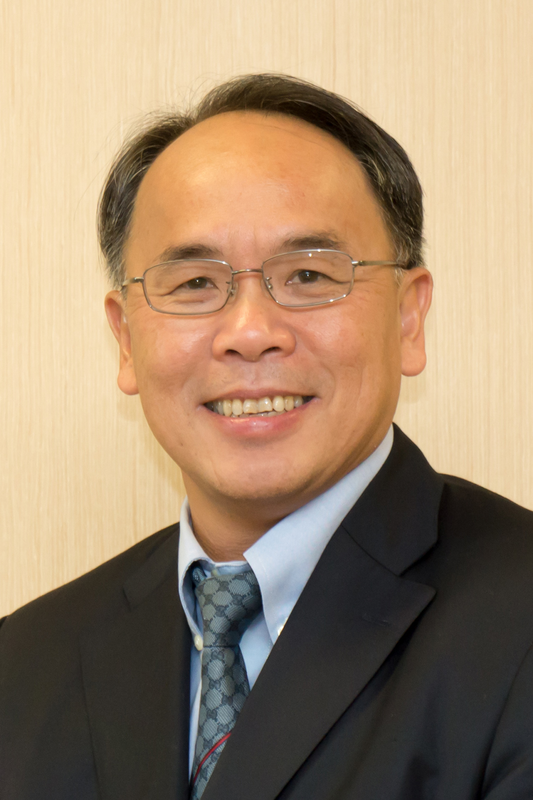 Professor Yip received the Medal of Honor (MH), Chief Executive Honours and Awards, HKSAR (2017), Knowledge Exchange Award, The University of Hong Kong (2017, 2013); the Stengel Research of the International Association of Suicide Prevention (2011); an Outstanding Researcher and Supervisor (2009, 2011); the Distinguished Alumni Award, La Trobe University (2008) etc. He has published over 400 scientific papers in international journals. He serves as the secretary general of the Asian Population Association and the research chair of the Family Planning Association of Hong Kong. He was a part-time member of the Central Policy Unit and a member of the Hong Kong government's Steering Committee on Population Policy. His current interests are in population health issues including poverty alleviation, adopting a public health approach in suicide prevention, restriction of means, cost-effectiveness of suicide prevention and program evaluation. His interests include suicide prevention, population health and poverty research. As well as offering regular gong meditation to cancer patients, Martha is involved in the scouting movement. In the summer of 2015, she introduced labyrinths to the 23rd World Scout Jamboree in Japan, where she facilitated and taught walking meditation for 34,000 scouts from all over the world. A graduate from the University of Hong Kong, Dr. Chan is currently the Chief of Service and Hong Kong West Cluster Clinical Stream Coordinator (Mental Health) of Queen Mary Hospital. She is also Head of Child and Adolescent Psychiatry and Psychotherapy. She is Honorary Clinical Associate Professor, Department of Psychiatry of LKS Faculty of Medicine, the University of Hong Kong. 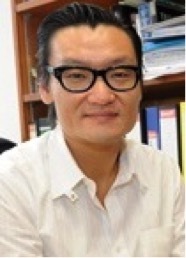 .Dr Chan is a Fellow in Forensic Psychiatry, Department of Psychological Medicine, Monash University in Australia. She is Vice-President (Censor/Education) of the Hong Kong College of Psychiatrists. She teaches and trains psychiatric trainee doctors, medical students and other allied health professional extensively. Her expertise is in child and adolescent psychiatry and eating disorders. She has participated in public education and advocacy work for destigmatization. Dr. Hung is a Specialist (Psychiatry) in Private Practice, He was Hospital Chief Executive and Consultant Psychiatrist of Child and Adolescent Psychiatric Team of Kwai Chung Hospital and Yaumatei Child Psychiatric Centre before his retirement in March 2012. He is a Fellow of the Royal College of Psychiatrists as well as a Fellow of the Hong Kong College of Psychiatrists. He was Honorary Fellow of the Hong Kong College of Psychiatrist in 2017. He was a member of the Task Group of Global Child Mental Health of the World Psychiatric Association from 2002 to 2006 and President of the Hong Kong College of Psychiatrists from 2006 to 2010. An avid Community Champion, Dr Hung has been awarded the Hong Kong Special Administrative Region Chief Executive’s Commendation for Community Services in 2009 for services in Sichuen earthquake and the Bronze Bauhinia Star Medal in 2012 in recognition of his achievement and contribution in the mental health services.